Price: Please call or send email to seller to inquire about pricing. Weatherproof Enclosure, Auto Start/Stop, Safety Shut Down, 12 Volt Alternator, Dry Pack Air Cleaner, 600 Amp Circuit Breaker, Muffler, Tank Type Block Heater, Digital Generator Panel, Digital Engine Panel, Engine Mount Radiator, 380 Gallon Double Wall Base Fuel Tank. 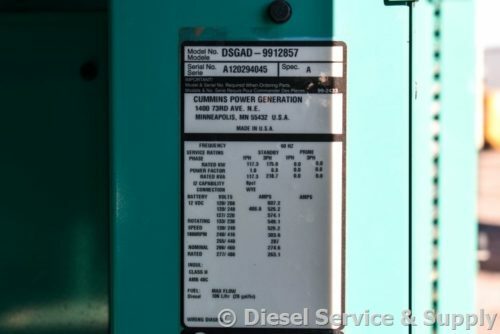 Cummins 175 kW Standby Diesel Generator Set Model #DSGAD-9912857 Serial #A120294045 Year 2012, 236 Hours Run, 380 Gallon Base Fuel Tank, 208 Volt, 3 Phase, Power Command HMI211 Control Panel. 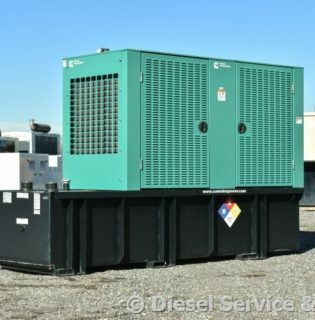 Diesel Service & Supply has been buying, servicing, and selling new, surplus, and used industrial diesel engines and electric power generators for over 30 years. 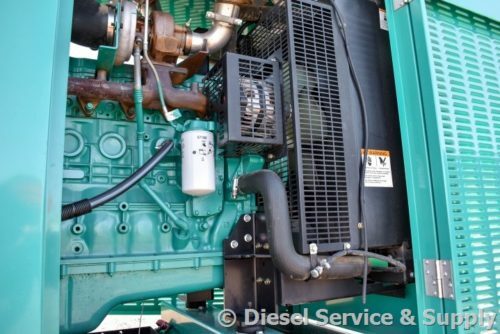 Diesel Service & Supply was established in January of 1981 and has grown from a small 1,250 square foot one-man business, to a 12 acre site with a 140,000 square foot industrial complex. We have full machine shop capabilities, overhead bridge cranes, a full service multi-port garage, an experienced staff of the industry's top mechanics and technicians, the best testing equipment and de-installation tools money can buy, and a friendly and knowledgeable office staff that can assist you with all your industrial diesel and power generation needs. When you work with us, not only can you rest assured that you will always get a competitive price for your equipment, but you'll also be dealing with a professional organization backed by years of experience and the infrastructure to support it. As one of the nation's leaders in industrial generator sales, we pride ourselves on our reputation for selling only low-hour, high quality equipment, and selling what we own. 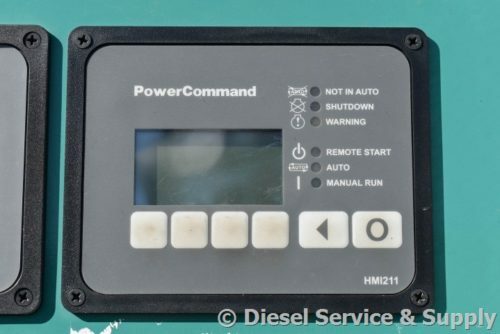 Our primary focus is on large engines and diesel powered generators from 20 kW to 3 Megawatts. 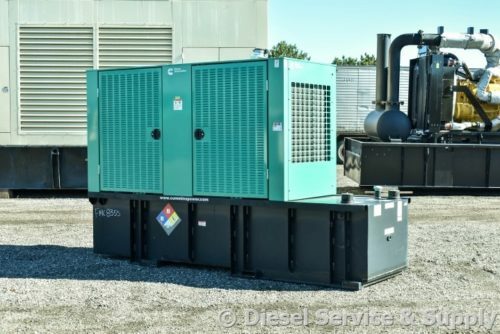 We specialize in Caterpillar, Cummins, and Detroit sales and service, but also carry a wide range of other manufacturers such as Onan, Kohler, Allis Chalmers, Perkins, SDMO, Generac, and more, all viewable with our up-to-date Inventory of Generators. 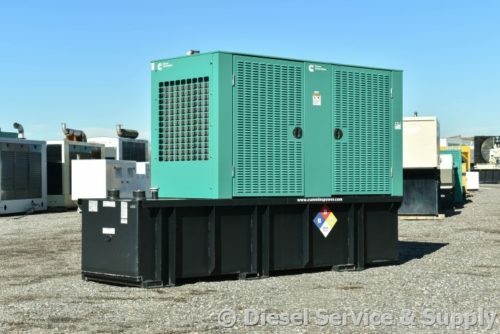 In addition to diesel products, we also buy and sell other types of generator sets, including natural gas, propane, and electric. NOTICE: We do not offer small home or rv generators. In addition to gensets, we also supply a wide range of automatic transfer switches, power units, trailers, and generator enclosures.